Home builders are looking for ways to improve home buyer engagement on their website. One way that’s gaining traction is including real-time Interactive site maps that feature lot and plan availability. We asked Rajan Krishnamurty, Business Unit Leader for ECi LotVue®, a few questions about interactive site maps and how builders are using this technology to enhance the home buyer’s experience and improve their operations. 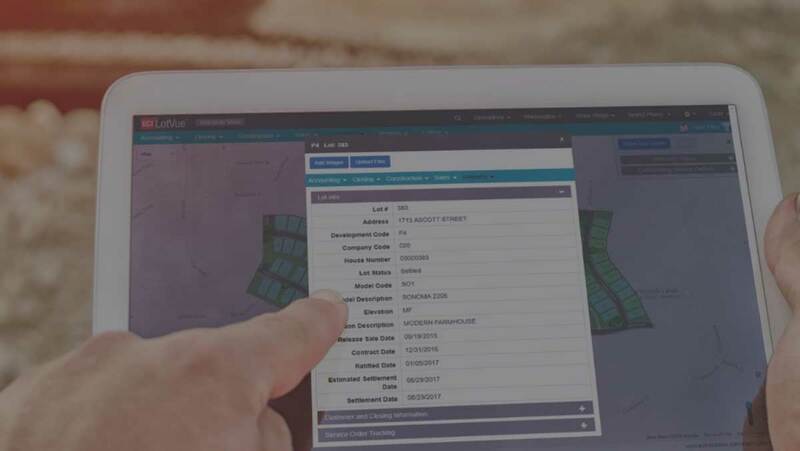 LotVue is a cloud-based, comprehensive lot inventory management system that uses interactive map-based views to engage home buyers and drive leads, while providing rapid insights into your operations as a home builder or property developer. What are the benefits for home buyers? These days everyone wants to get all the information about a product they want to buy before they make their purchase decision. They want to know all the features and options, read what others are saying, know what’s popular and what people are paying for it. If they’re not able to get the information they need from a seller online, they’re going to go look for a different seller. This is no different and even more important for a major purchase like a home. Buyers want to know what lots or units are available, pick a floor plan of their choice, see renderings, photos and videos, get a comprehensive view of how the community is situated among local destinations like schools, shopping centers, hospitals and major roadways…..and they want to do all this before they even venture out to look at a model home or drive to the community. LotVue interactive community maps, embedded into a builder’s website, aggregate all of this key information in one place that is easy to use, engaging, up to date and relevant. 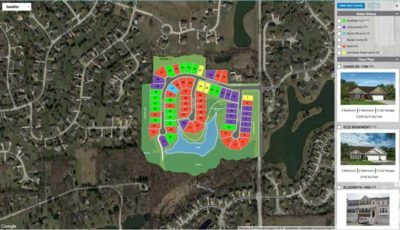 How does it help home builders and developers manage their floor plans operations more effectively? A key philosophy behind LotVue is to provide simple and visual access to key information whether you’re a home buyer or are part of a builder or developer team. 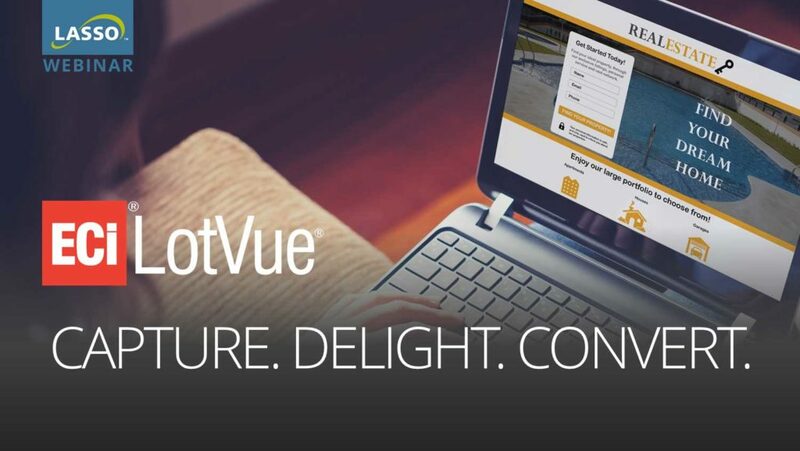 Whether your role is in accounting, sales, marketing, construction or warranty, LotVue provides simple and secure access to your lot inventory including construction progress, sales status, budget, schedule variance and architectural information. All the stakeholders in the business – whether internal or external – can get secure and selective access and collaborate effectively even if everyone does not have direct access to the back-office systems. Reporting is an important part of running a business. In the LotVue world we think of reports not as just a PDF that you print and read…. but an interactive experience that quickly lets you get to the information you’re looking for. You can filter information by community, lot status, date range etc. and view it on the screen, or if needed export it as PDF or Excel file. How easy is LotVue to implement and maintain? Keeping with the philosophy of “simple”, the LotVue implementation process is very straightforward and requires minimal investment by our customers to get set up. Configuration and use of the application are also very simple and intuitive, requiring minimal training for the average user. As an administrative user you might need a few more pointers but can be grasped very quickly. How does LotVue interact with MarkSystems? As part of the ECi Residential Home Construction family of products LotVue is tightly integrated with ECi MarkSystems ERP. Changes made in MarkSystems are automatically reflected in LotVue – sales status, construction status, floor plan selections, budgets, variances, etc. This eliminates any manual/duplicate data entry and ensures that accurate information is presented to home buyers and back-office users alike. It’s also important to note that LotVue can run standalone without any back-office system integration. It can also be integrated with ERP systems other than MarkSystems as needed. Does LotVue integrate with Lasso? MarkSystems is integrated with Lasso and LotVue. We will be completing the third side of the triangle – LotVue/Lasso integration – in the near future. Watch this space for updates. With LotVue, you can look at just about any aspect of your development activity and be confident that you’re seeing the real-time, accurate information you need to run a construction company. To learn more about LotVue, sign up for a demo or contact Sara Williams. 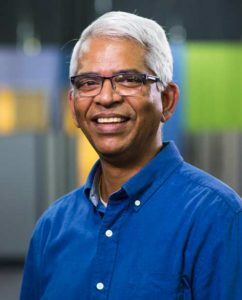 Rajan Krishnamurty joined the MarkSystems® team as Business Unit Leader of LotVue® in May of 2016, following the acquisition of LotVue by MarkSystems. He founded LotVue in January 2015. Rajan is on a mission to infuse simple, visual, and mobile attributes into the product line for MarkSystems. He drives all aspects of LotVue including vision, strategy, and business development, and leads the product engineering team based in Hyderabad, India. Rajan is a technology executive and entrepreneur with extensive experience in enterprise software, product development, and professional services. Before founding LotVue, he was co-founder and CEO of LogicMatter, CEO of CarDomain Network and CTO of The Cobalt Group. He started his career with 20 years in IBM where he held a variety of technical and leadership positions. Rajan obtained his Master’s in EE/CS from The University of Texas at Austin and a Bachelor’s in EE from the University of Houston.